The affordable end of the professional market offers more choice and features for your money than ever before. 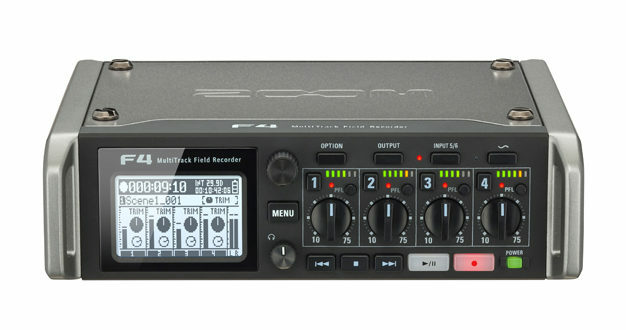 Zoom kicked off the trend with the F8 and F4 (pictured above) offering professional features like proper time code and the option of a mixer panel and still managing to keep the price under the magic grand figure. I’ve been using an F4 for a couple of months now and with the pro level powering option and full sized XLR outs it’s an almost perfect wav catcher at a bargain price. Sound Devices have now weighed in to the affordable market with the MixPre series, first out of the blocks were the MixPre 3 and 6, featuring new low noise Kashmir mic amps and, like the Zooms, doubling as USB interfaces. The MP3 and 6 offer time code connectivity through HDMI pointing to a partnership with the SLR video market rather than pro level systems. But now the mighty Sound Devices MixPre 10-T has arrived. No disrespect to its smaller brothers but the 10-T is set to make some serious waves. Ten mic inputs featuring the new Kashmir preamps, balanced outputs on TA3 connectors (outputs at neg 10) and a full onboard timecode implementation including BNC connectors in and out. I’ve seen the Zoom and MixPres being described as intermediate gear. A cut above domestic equipment but maybe not quite full on professional. I think as ever the key thing is application. Both the Zoom and the Sound Devices MixPres work as recorders and mixers but mixing on them is not like mixing on your classic SQN, Filmtech or Coopersound. Do you need a camera connection with proper return monitoring? Will your output levels match your camera’s? Your powering options on some models will not be as flexible – are the timecode facilities comprehensive enough? On the other hand you are getting higher track counts, new technology in preamps and app based control, very small footprints and significant savings. And a lot of those camera related connectivity issues will not matter for many people. I say it is a good time to be alive and choose carefully! But if you have a professional budget then you have professional options. Sound Devices 6 series and Zaxcom’s Nomad have most of the bases of the pro market covered. 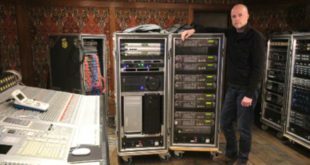 Sound Devices have the 633 – small and snappy with high sample rates, automix, tiny footprint, more power options than the national grid, six iso tracks and bulletproof pro build. The 664 offers more tracks (12 iso tracks plus output busses) and multicamera connectivity, for those happy to live at 48Khz. If you have a professional budget then you have professional options"
Higher up the hill the 688 offers the same track count as the 664 but does higher sample rates, Dan Dugan automix, extra pots on the front panel and the option of Superslot radio mics. And talking of radio mic integration, Sound Devices have a new partnership with Audio Ltd. with the aim of boosting recorder/radio mic integration, so watch this space. The other big player in the pro market is Zaxcom, their Zaxmax is a small footprint four channel mixer/recorder that offers some of Zaxcom’s trademark features like NeverClip inputs, the MARF fault tolerant file system and the Zaxcom automixer. Further up the range we get to Nomad world where you have a choice of three models. All the Nomad’s have ten analogue inputs and six mic preamps. A step up from the Nomad Lite, the Nomad 10 has three pairs of AES inputs, 16 mix busses (as opposed to 6 in the Lite), built in ZaxNet transceiver and an 18 input automixer. The top of the range Nomad 12 boosts the spec to 12 track recording and 18 mix busses and adds USB recording. And if you still need more power than standby for the long-awaited Deva 24, twelve mic/line inputs, four line inputs, eight AES pairs, four of which offer AES 42, a Dante option and 24 record tracks. A beast that also promises a Mix-Ahead safety feature which will be a boon for those of us living our lives half a second behind the fade. If you just have to think outside the box and fancy something continental how about a Sonosax SX-R4+ – which now offers Dante – as well as an eight fader panel and an eight channel bolt on mic amp to increase the analogue channel count. Or maybe an AETA 4MinX. Or if you want to climb higher you can. King of the location audio hill is Aaton’s Cantar X3 (pictured above) – 24 tracks – hinged screen – purple controls – Dante; the works. It looks like something Kirk and Spock discover as evidence of some hyper advanced and presumably French speaking civilisation. Vive Le Cantar! Interesting things are happening too in the world of radio mics – Audio Limited have released the fully digital A10 system featuring the new dual diversity A10-RX receiver. With channel density getting ever more important the A10 system has been much anticipated. Offering uncompanded audio, recording in the transmitter and SuperSlot compatibility the A10 system is turning more than a few heads. Add this to the new partnership between Audio Ltd and Sound Devices and things are getting interesting in the radio mic sector. One of the big success stories in wireless has been Wisycom. Their dual diversity receivers and the ability of their DSP to mimic the companders in other brands has meant that there’s a lot of Italian engineering on locations across the world. And there’s international options from some pretty big names including Sony, Sennheiser and Lectrosonics. 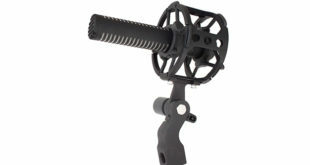 Zaxcom are currently the only manufacturer providing both recorders and radio mics and they make the most of the synergy. Zaxnet being the best example. This 2.4Ghz network carries IFB audio, timecode and offers full control of their radiomics and of course Zaxcom were first to the ‘put a recorder in your transmitter’ party. Timecode world has seen a bit of a revolution of late. First Timecode Systems burst onto the market with their Timecody Buddy product line and then cheap as chips products from Tentaclesync, here in Europe, and in the US Mozegear (chips and curry sauce price) have really shaken up the market. 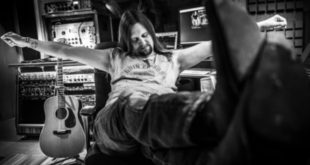 The Tentacle Sync stripped away a lot of traditional timecode functionality in order to leave just the very basics and offloaded the set up to software in your laptop, tablet or phone. With so much going on and so many choices – and of course there are far more than are listed here – it’s a good time to be on location. Weather permitting." In response to these new challenges, long time timecode champs Ambient have hit back with the Nano Lockit and Timecode Systems with the UltraSync ONE. Both these products are part of bigger networkable systems that include all sorts of remote operation and meta data control. There’s also a recognition of the changing world of timecode, the SyncBac Pro from TCS means you can add timecode to your GoPro and as discussed already Sound Devices MixPres we have timecode connectivity on HDMI. We are now waiting for latest Tentacle SYNC E to ignite the latest round of the battle, it’s an exciting time to try and stay in sync as increasingly timecode is coming under software control with apps and extra functionality abounding. And I suppose we shouldn’t leave sync world without mentioning software sync only – most famously in the form of PluralEyes from Red Giant – the idea is that the software can intelligently scan your clips and sync them together without the bother of any timecode on set. And that I suppose might be driving the increasing functionality of the big systems – it might not be enough just to stick a clock on your footage. With space rapidly running out we should have a quick look at DPA’s new CORE range. CORE represents new electronics for DPA’s personal mics, offering lower distortion, better dynamic range and is claimed to improve the sound. Basically CORE is a new amplifier circuit for miniature mics and promises some pretty significant improvements. The new CORE range will sit above the standard DPA product, offering recordists a choice of performance and price options. Schoeps have also been busy with the MiniCMIT – all the goodness of a CMIT in a smaller and lighter package. Schoeps claim the Mini is interchangeable with the CMIT 5 without altering the sound. Bags from Israel and the US – Orca and K-Tek have extensive ranges with everything from a small Stingray bag for your 633 or Maxx up to an Orca OR-48 – a bag that is also a cart. Poles but none as far as I’m aware from Poland – PSC offer internal cabling while Panamic is a home grown British product. And to keep out that home grown British weather how about some windshields? Rycote have a new stereo version of their top end Cyclone system (pictured above), while French windshield gurus Cinela have some very interesting new products in development. In batteries it’s another English French thing, Hawk-Woods fly the home flag while French company Audio Root make battery systems so good they’ve contrived to make batteries actually interesting. In headphones the Sennheiser HD25s are not just classic, they have official legend status but if they don’t do it for you how about Audio Technica’s ATH-70s? With so much going on and so many choices – and of course there are far more than are listed here – it’s a good time to be on location. Weather permitting.